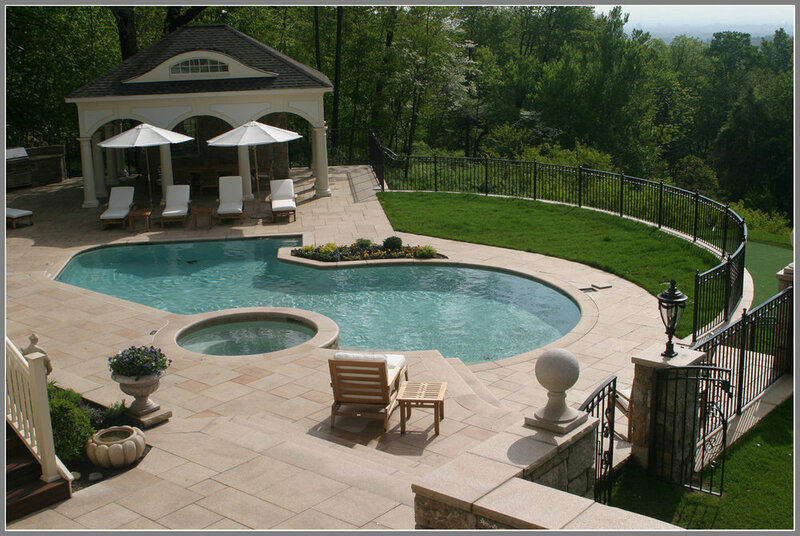 In general, swimming pool is the worse investment for your home from the money return point of view. 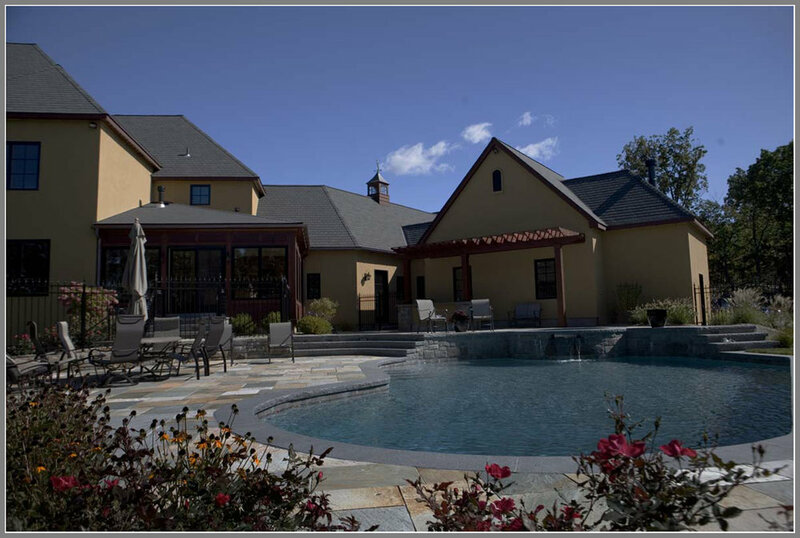 The home owners install swimming pool to enjoy themselves. However, a good design which creates special features or transforms useless space into a gem can attract potential buyers and therefore gains a big return especially in the upper market. 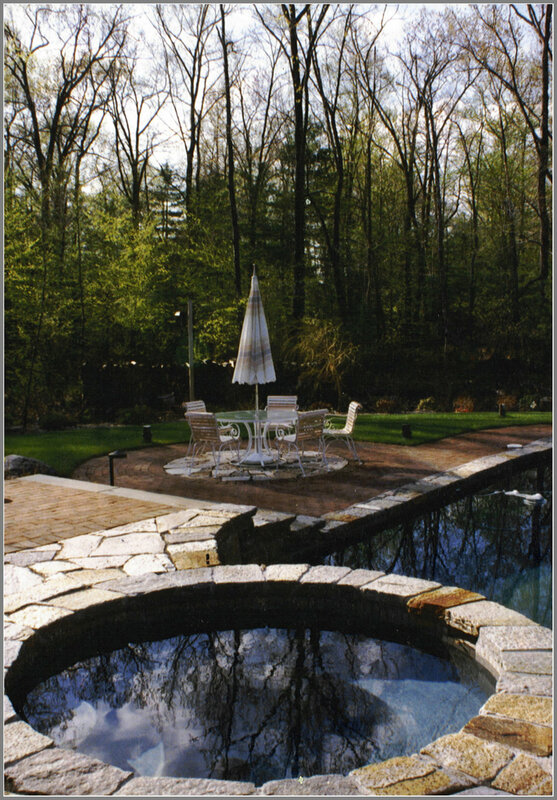 A few years ago I upgraded a $50,000.00 pool in Westport to $80,000.00 and the owners were so happy to spend the extra money. You simply don't put a Formica or Corian countertop in a million dollar home. 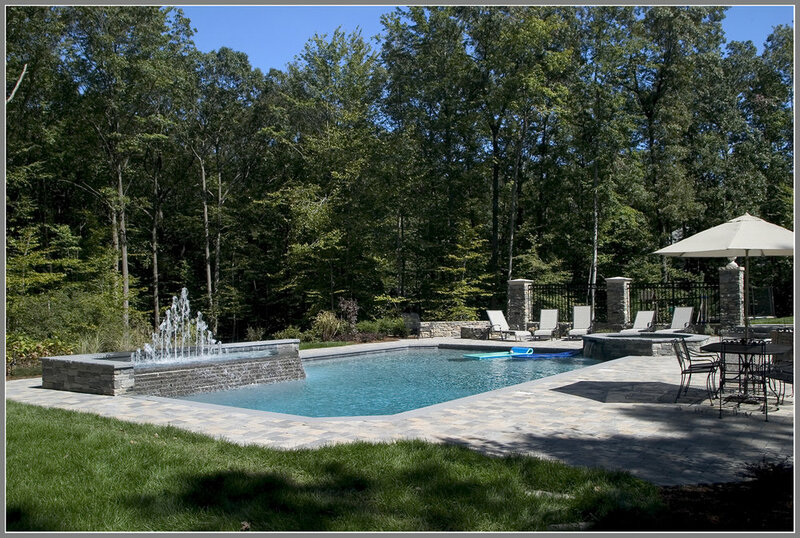 A $50,000.00 pool in Westport can be a liability when the house is put on market while the $80,000.00 dollar one can be a plus. 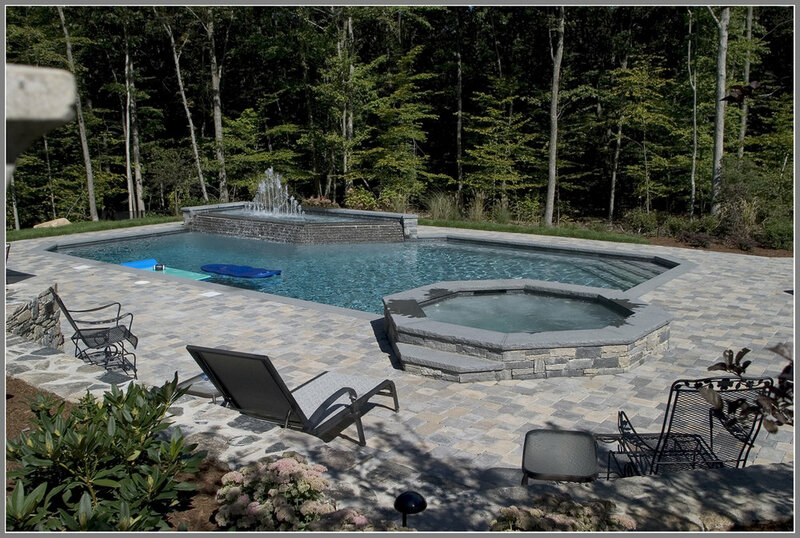 We were brought in by the pool company for the first featured pool in Brookfield. 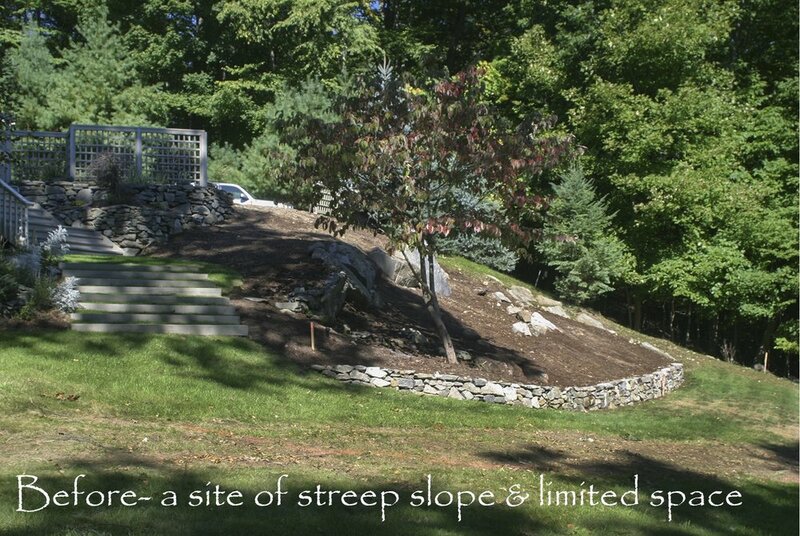 The owners refused to sign off the construction of the pool because they weren't quite sure it is the best solution to their weekend house by the lake. 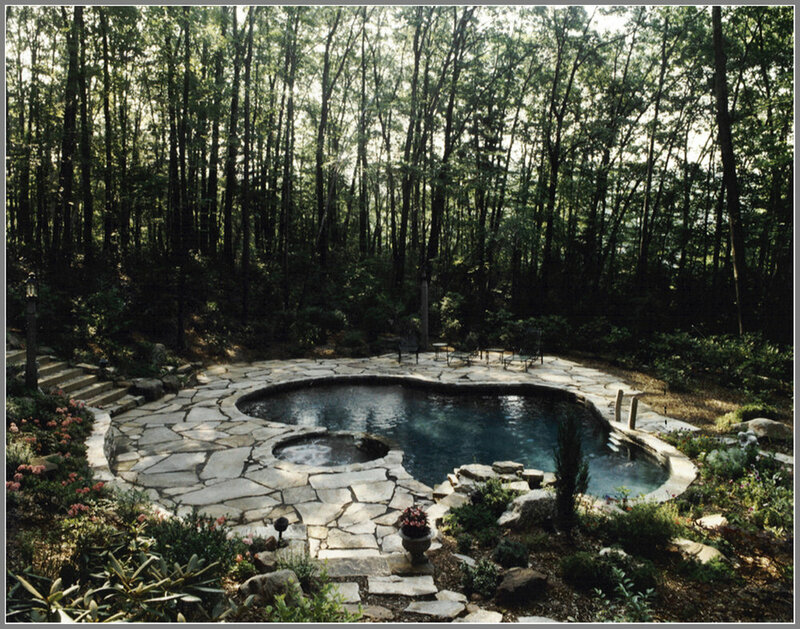 The original pool would have taken out the only flat area of the yard while there is no smooth transition from the house to the pool. 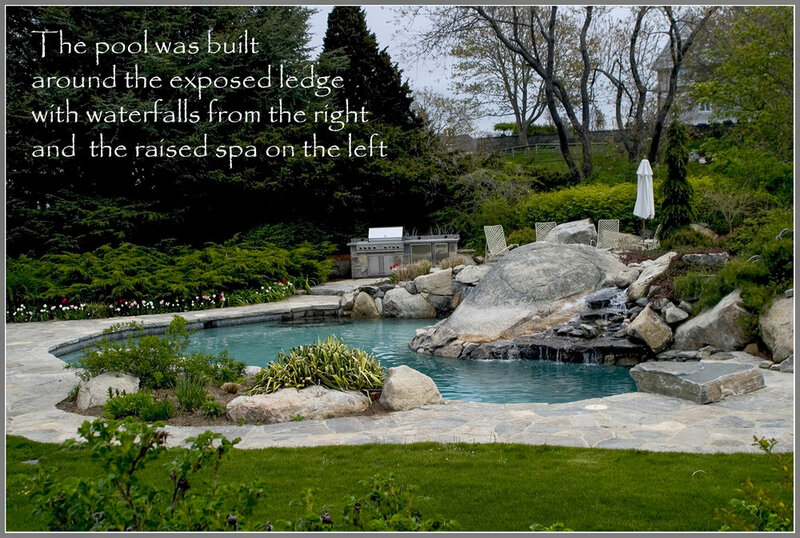 We then designed a pool which was strategically tucked into the steep bank and incorporated features such as raised spa, waterfalls, sitting bench and stone footbridge into the design. 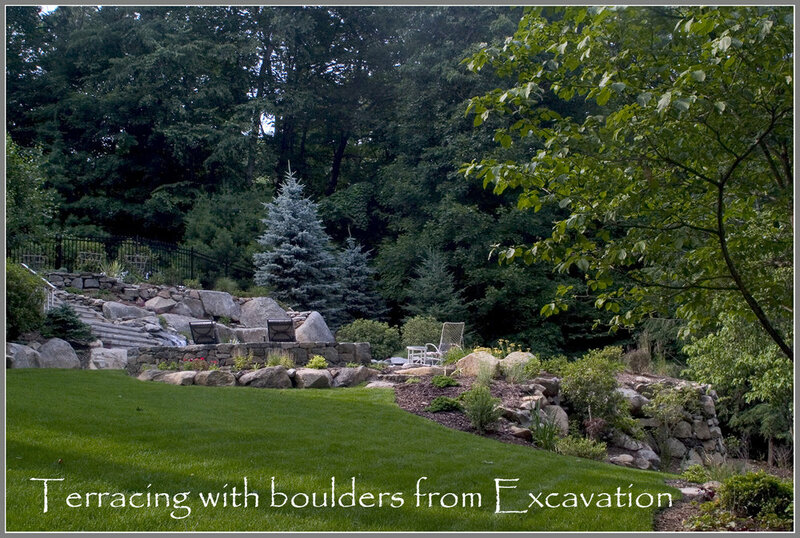 We also use the boulders on the site and from excavation to build the retaining walls and other landscaping elements. The result was 'amazing' as the owner put it. 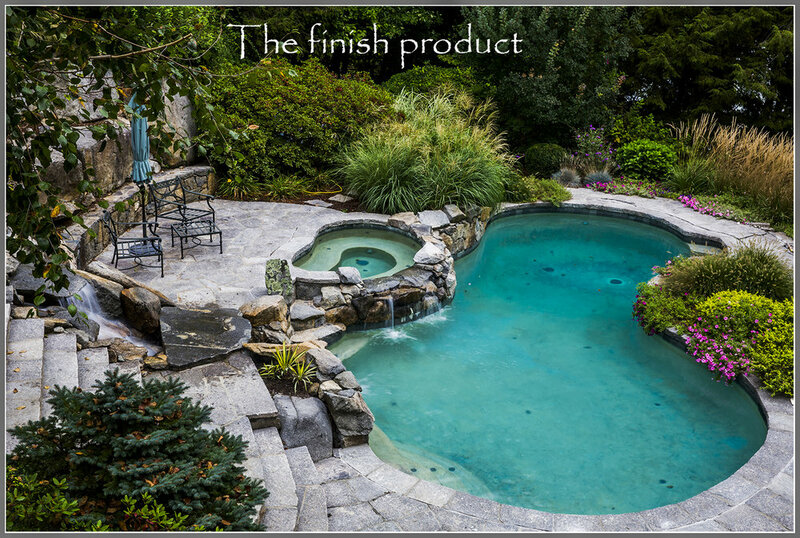 It is a dream product for any homeowner. It is not merely a pool. 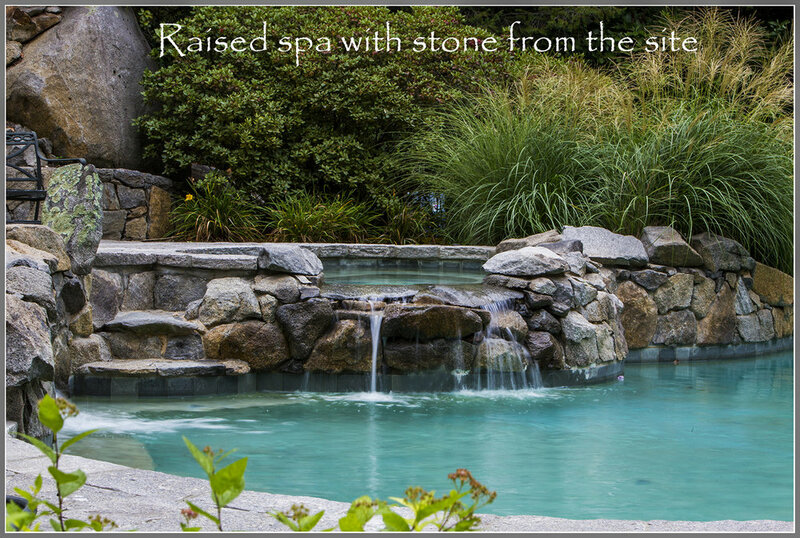 It is your vacation spot where you can relax with your families and entertain your friends. The pool became part of the beautiful lake view picture. 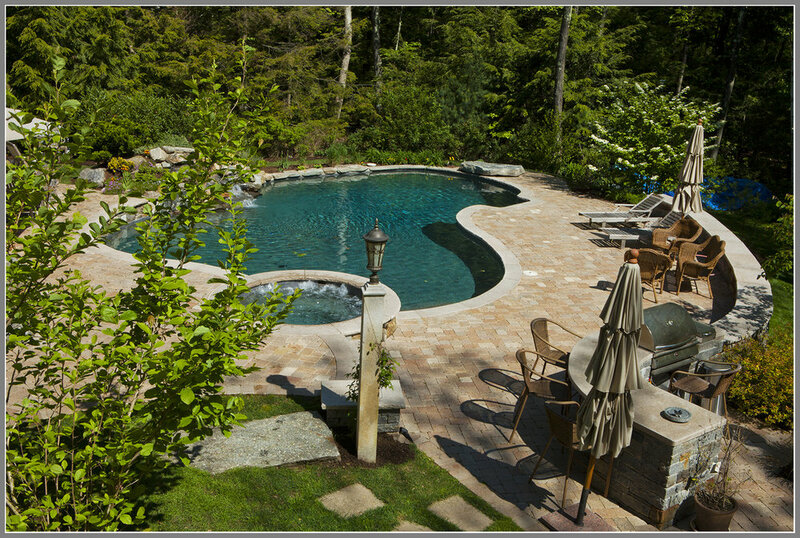 Best landscape, masonry and pool design. 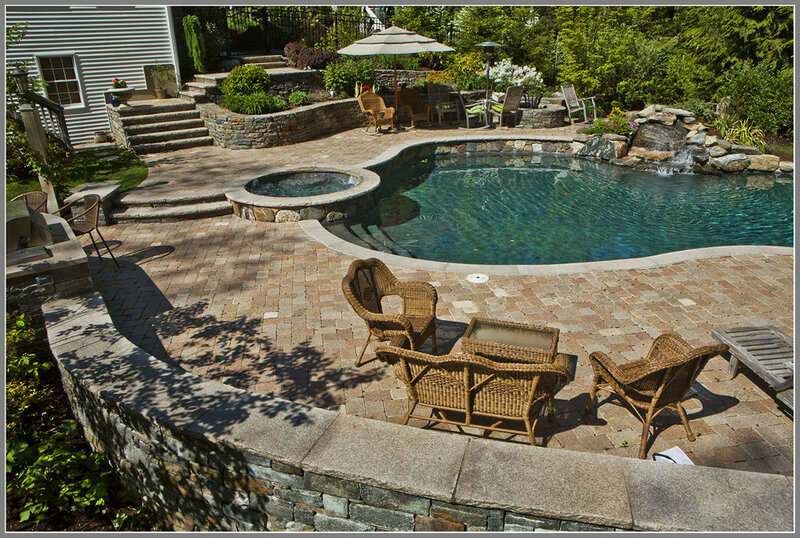 One of a kind, tumbled granite paver. 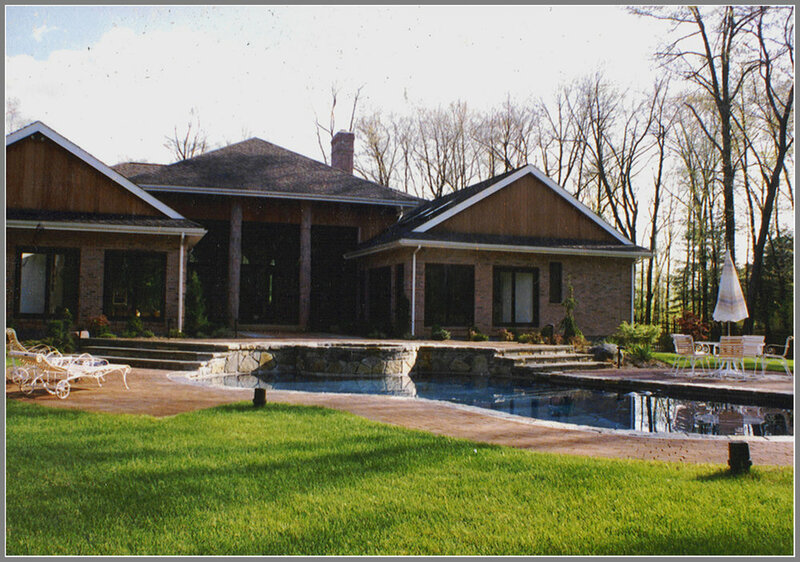 Swimming pool, granite deck and pool house. 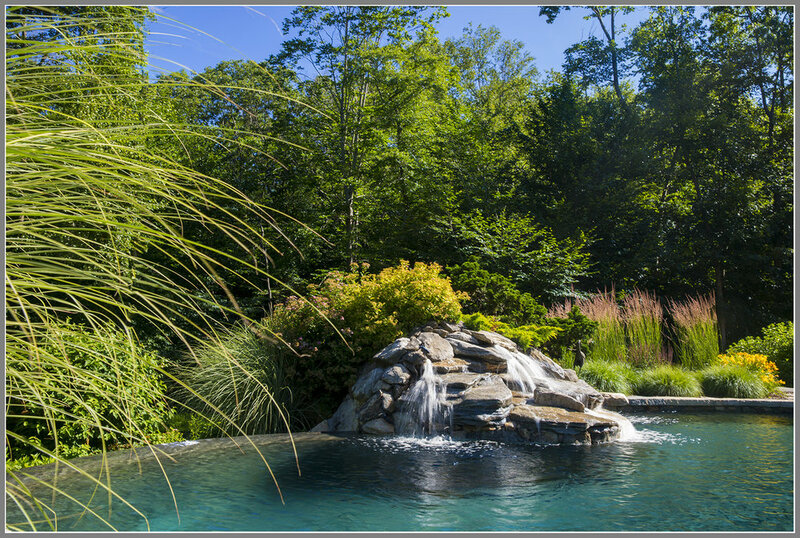 Pool with waterfalls and stone bridge. 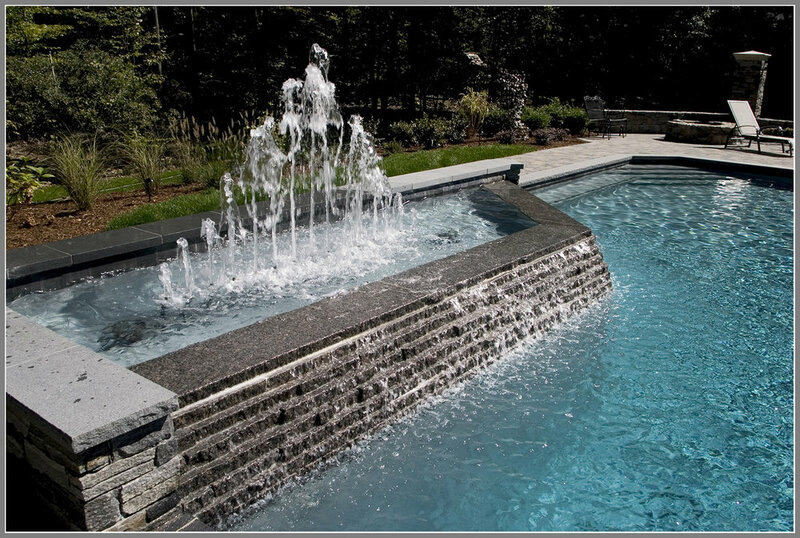 Swimming pool design with lagoon and waterfalls. 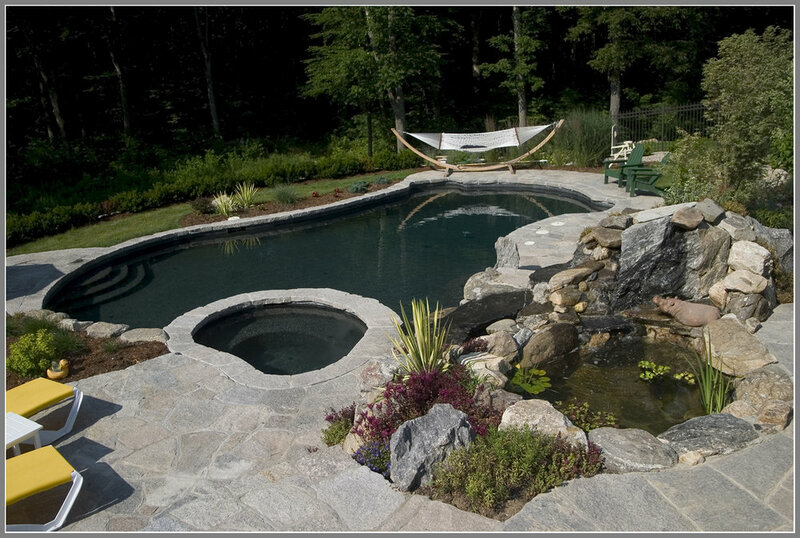 Pool with waterfalls and natural stone spa wall.